This family owned business knows its business and takes great pride in workmanship and service. Chris Potts was very flexible in terms of scheduling and his crew was professional. As promised, our old beaten up wood floor looked beautiful after Duffy floors performed their magic. Let me add- they are very honest in terms of what was needed to complete the job. Don’t usually complete reviews, but I made an exception for exceptional service and work! We had a tough install on a bowed upper floor and needed approx. 2000 of existing floor refinished for our old house. Duffy Floors did an excellent job on the install and the refinishing. One very small spot that they missed they came back for and took care of after one call. The project was done on time and on budget. I have used Duffy Floors of Medford a couple of times. Chris Potts and his team do a tremendous job. They are punctual, neat, and their goal is to make you happy and do a good job. I can’t say enough about the good work they do. Chris is a great leader and makes sure the work is done to his expertise and to the homeowner’s satisfaction. I would not hesitate to recommend them and I will call them again. I’m a very pleased customer! Chris, Thanks again for the work that your guys did in our house. The floors came out great and we absolutely love the border you installed, great suggestions. I have been a contractor for over 15 years. I began using Frank H. Duffy Inc. close to three years ago and they are second to none in terms of professionalism and quality of the finished product. There are many installers out there who can slap down a floor, Chris’s teams bring added value and have the ability to be placed in front of my million dollar clients. They know the artisanship of wood floor installation and repair as well as positive business practice. I no longer use any other flooring company on my jobs. Chris can answer wood species questions and is available when I need to get in touch. They are a top notch company I would highly recommend. I was very pleased with the refinished wood floors and was thrilled you accommodated my schedule.I loved the color of both the stain and the finish! My floors have held up well. Thanks for doing an outstanding job! Duffy Floors is better than advertised. They were upfront on what it would cost, did an excellent job and all of it in the time frame we discussed. I would highly recommend them, and will be referring my friends and family after how well the floors came out. This is my second project with Duffy Floors and they are great. I am a professional interior designer and would recommend them highly. Very professional team with quality work and performed on time to the schedule requested.Excellent work. We used Duffy Floors for a traditional hardwood floor installation, in our home. The crew was exceptionally careful in moving our belongings. They finished the project on time and the floor looked so good that we decided to refinish our sun room floor while they were there. They used a dustless hardwood refinishing system, that was extremely clean to start with, and then they did an outstanding clean up job. 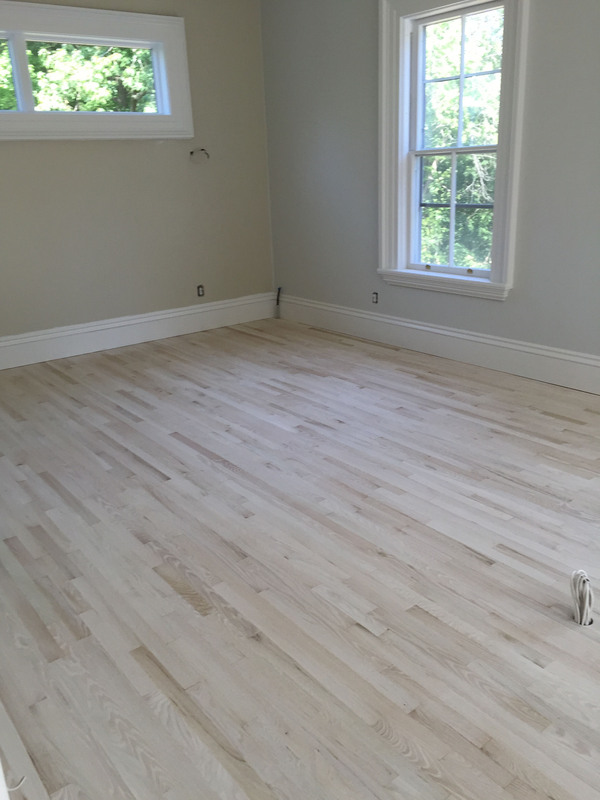 Chris Potts supervised the job, and he was a pleasure to work with I would recommend Duffy Floors to anyone considering hardwood work in the Boston area. Had Frank H. Duffy Floors, Inc. Refinish all of the wood floors in my house in Winchester, MA, before I sold it. The Duffy Crew refinished 5 rooms downstairs and 3 up.. Chris Potts managed the job, and made sure everything was perfect. At the time the floors were repaired, Duffy was using a dustless system, and I was impressed with the results of their dustless hardwood refinishing technique. The job was clean and professional. When we put the house on the market, we sold it in the first week. And we got $25,000 more than our realtor's original estimate. I had a custom hardwood floor installed in my home in Andover, MA, by Frank H. Duffy, Inc. The workmanship was superior. The job was completed on schedule, and on budget. Duffy's President, Chris Potts personally supervised and inspected the work. I was so pleased that I had them refinish my existing hardwood kitchen floor. The dustless sanding and refinishing process they used was much cleaner than my last hardwood sanding experience. A great job all the way around. I am recommending Duffy Floors to anyone who asks me. Duffy Floors did a beautiful job on my sunroom floors. They look better than new. The crew was professional and clean and finished the job on schedule. I would use Duffy Floors again. We used Duffy Floors to refinish the original (1939) hardwood floors in the upstairs of our house, which had been covered in carpet for years. They turned out beautifully and Duffy Floors was a pleasure to work with through the process. Very responsive, timely and reasonably priced. We then had them install new hardwood in our kitchen to match the rest of the original wood downstairs, and again they turned out wonderfully! I would highly recommend Duffy Floors! Three renovations, large and small, over 23 years, seven large room floors total and Duffy did them all. I can’t tell the oldest from the newest. Very good quality and attention to detail, careful about mess, dust, and trim. They even handled the old w/w carpet removal/disposal. You continue to set yourself above all others in professionalism and customer service. Your call is welcome news. Thank you for the content, detail, and pride of workmanship. You continue to set yourself above all others in professionalism and customer service. Your call is welcome news. Thank you for the content, detail, and pride of workmanship. Looking forward to seeing the results! 2 years and 1 puppy ago, f Duffy and associates sanded and polished the floors in my 100 year old home. They put finishing touches on their hands and knees, discussed floor care, pets, and they took special care of my newly painted trim. My floors continue to give my home a warm glow – thanks! Duffy floors refinished one of our rooms, as well as installed and finished an oak floor in our den. To say that we are happy with their service would be an understatement. Indeed, we are thrilled! Our visitors are all impressed with the quality.That being said, these guys showed up when they said they would. Were respectful, clean, and courteous. Thank you Duffy floors! My wife and I hired Duffy Floors to refinish the floors of our 1874 Victorian in Needham. They did an amazing job of restoring the floors quickly and cleanly. Chris communicates very well and the finished product was excellent. The crew from Duffy exemplify professionalism, courtesy and quality. From sales to sanding, from cost to clean up, they were the best. The floors inmy 125 year old Somerville home had never been professionally refinished. I\’m kind of glad they never were. Duffy made these beat up, scratched and tired boards of pine look like new.\r\n\r\nI highly recommend Duffy for your next project. Wonderful job done finished a couple of days early my wife and I enjoy the results every day thanks and happy holidays. I am a third generation Medford resident. My family has been using Frank H Duffy for years. Why? Because the quality of work has remained constant. I recently had Chris refinish the entire first floor \”Great job, Chris\” I am looking forward to having them back, to start my second floor. What more could you ask for than quality work at a fair price! Chris Potts managed very well our request to have five rooms refinished in the interim between two tenants. Because of the leases, it was a tight window, but Chris worked around our scheduling needs, put an extra crew on the job, and got the job done efficiently. The floors look beautiful. 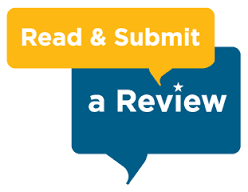 We are very pleased with the work and will definitely call back with future projects. Chris is honest and very fair and the quality of his workmanship is outstanding. We have an older home with some unique challenges in matching the species and color of the flooring. We labored over the decision, but the finished product is simply beautiful and was delivered on time, and on budget too. We couldn’t be more pleased. EXCELLENT WORKMANSHIP! Chris and his crew have done work in my home numerous times. They have installed new floors, refinished existing wood floors and buffed my kitchen floors. Most recently my stair treads were refinished. The floors look absolutely fabulous. I recommend Duffy Floors to anyone looking for quality wood floor work. Chris and his teasm did a great job. They replaced some wood that was 80 + years old and matched the rest. Floor looks awesome. Can’t say enough about the man and his work! 28 years ago, Duffy Floors installed and finished the floors in our new family room. Fast forward 28 years and our floors had a few problems (doggy accidents and foot traffic). We thought we would have to have them refinished. Chris advised that we only needed to do some minor touch-up, buff them and apply one coat of polyurethane–they look brand new! Chris and his crew are very professional. Great job! Would highly recommend Duffy Floors and have done so. Chris Potts and the Frank Duffy team did an excellent job restoring our 1860s foyer wood floor after a heating system conversion left it worn and with holes from radiator removal. They carefully matched the field wood (quartersawn oak) and the mahogany inlay, then refinished the whole room. It looks beautiful. Both of Frank’s employees came over early like he had said. They were quick and efficient. It came out better than expected. After everything had dried I moved a piece of furniture myself and I got a tiny scratch in the floor. I was freaking out, so I called Frank right away. He told me to come down to his business. He told me exactly what to do and how to take care of it because I tend to freak out! Then he was kind enough to give me a tiny can of polyurethane. He’s a great business man and has great employees! Terrific wood flooring specialists. Every time I have my wood floors refinished I use Duffy Flooring Specialists. The company has a long history and always does a great job. They come on time, are always pleasant to deal with are efficient and clean and leave the floors looking beautiful. They also put down a wood floor for me and it turned out great. I would never use any other company to refinish my wood floors and would heartily recommend them to others. Outstanding Work! We pulled all of the carpets out of our newly purchased home only to find water damaged wood flooring thought the entire house, numerous staple holes and damage from a carpet kicker. Duffy Floors not only removed all of these issues, one would be hard pressed to find them. The entire job was done quickly and cleanly! We highly recommend Duffy Floors! Excellent Job !!! Great quality !!! It’s a pleasure to give testimonial for Duffy – the only floor-treating service I would ever go to. I’ve been in my home over four decades and they have come to me three times, I think, to sand and refinish, even re-build at some point, my wooden floors. They are terrific; their work endures; I wouldn’t ever call anyone else. Last December my wife and I purchased a new home with beautiful wide board pine floors. The finish on them was spectacular. We asked the previous owner who had finished their floors for the knowing we had plans to refinish similar pine floors on the 2nd floor. Duffy floors was their contractor of choice. I gave Chris a call and he promptly setup a meeting to review my project. Chris was extremely accommodating, allowing me to opt to pull up the existing carpet and nails and providing only the scope I asked for. He was asked to match the first floor floors which had been done several years prior with a hard to find stain. Chris spent a lot of time researching the history of the stain and finding the exact current match. Needless to say the extra effort was worth it. Pine floors can be very tricky as they are very soft. Over sanding is certainly a risk but Chris team did an amazing job on the sanding, staining, and finish. About 6 months later I contacted Chris again to sand and finish a brand new floor in the kitchen during a remodel. The new floor but up against the existing floor so may have been even more challenging. Chris’s team nailed it again and were very patient working around my remodel schedule. Hands down Chris and Duffy floors get my highest recommendation! Job well done. Everything was as promised. They called everyday and showed up on time. The floor looks great. This company is very professional. The work was done efficiently and within the time proposed. Cost was very fair and the crew that did the work was courteous and neat. I would not hesitate to recommend Duffy to anyone!